Edwin Joseph Wilde	Lieut Leicestershire Regt. Bradfield War Memorial – Dedication Service, June 1922. 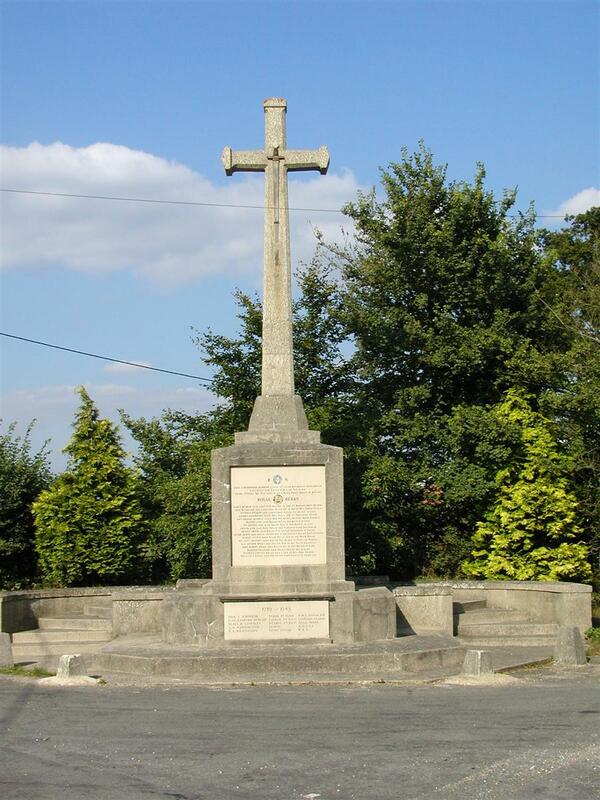 A handsome cross, 28 ft high, has been erected as the village war memorial. The site is at the cross roads opposite Copyhold-farm, where it will be a conspicuous monument. Sunken panels on the base contain the names of the fallen men. On the sword [sic] is a careful reproduction, somewhat enlarged, of a sword of the 12th century (time of the Third and Fourth crusades), which was found a few years ago in a peat pit at Northcroft Lane, Newbury. This sword is now in the Armoury of the Tower of London, being the only sword of that period in the collection. Very few examples of swords of that date are known to exist, and it is interesting to know that this very sword which has been copied for this village war memorial, found only a few miles away, may have been used in the Holy Land by an unknown Berkshireman Crusader some 800 years ago. The sword on the cross was forged in the village smithy at Bradfield. The unveiling was performed by Major-General Dickson and two little children, Muriel Hunt and William Little, whose fathers were among those commemorated, placed wreaths at the base of the memorial. The Vicar (Rev T W Gilbert) dedicated the cross, and the Rev T Sands (Primitive Methodist minister) took part in the service.